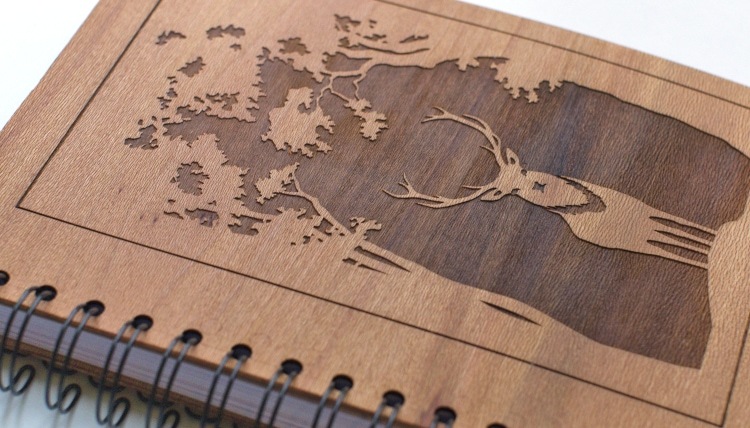 Laser Cutters are great tools offering the possibility to create many different things. From simple boxes to engraving detailed graphics into wood or building complex three-dimensional objects. 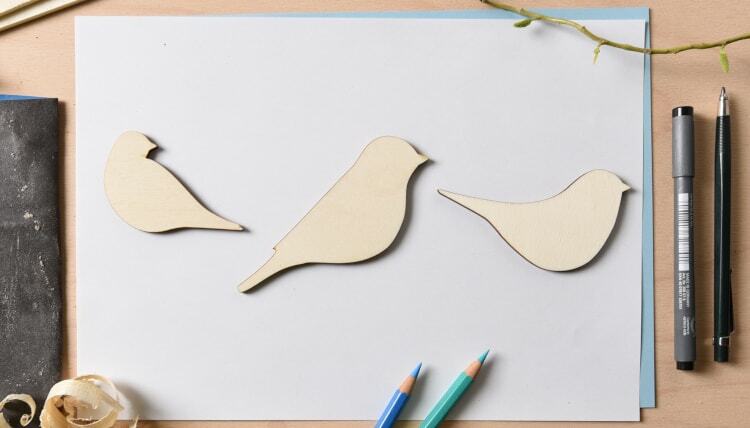 In this beginners guide, I will explain the basics of how a laser cutter works, show you some examples of things that can be made with a laser and how to create designs for laser cutting or engraving. 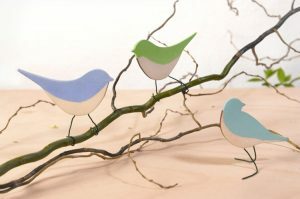 You’ll also learn which material can be used and how to get access to a laser cutter. A laser cutter is a computer controlled machine that uses a laser beam to precisely cut or engrave material. A laser is basically just highly focused, highly amplified light. The laser beam causes the material to locally burn, melt or vaporize. The kind of material that a laser can cut depends on the type of laser and the specific machine’s power. The term “Laser” is an acronym for “Light Amplification by Stimulated Emission of Radiation”. Laser technology was developed in the 1960s. There are different types of laser cutters. This guide will focus on gas lasers and CO2 lasers in particular, as this type is most commonly used by hobbyists and small businesses. Other types are for example fiber or crystal lasers which are mostly used for industrial applications. CO2 laser cutters are capable of cutting and engraving a wide range of non-metallic materials such as wood, paper, acrylic, textiles, and leather. For more materials and details look here. In a CO2 laser cutter machine, the laser beam is created in a tube filled with CO2 gas. Next, with the help of mirrors and lenses, the laser beam is directed to the laser head and focused on the material surface. Electronically controlled motors move the laser head to cut or engrave the desired shape into the material of the workpiece. The shape is defined by an input file which can be a vector or raster image. When the laser hits the material, a very small area is heated in an extremely short period, causing the material to melt, burn or vaporize. In general, there are three tasks that a laser cutter can perform: Cutting, Engraving and Marking. When the laser beam goes all the way through the material of the workpiece it creates a cut. A laser cut is generally very precise and clean. The look of the cut edges depends on the material. For example, the edges of cut wood are typical of a darker brown than the original wood. The edges of acrylic do not change color and have a nice glossy finish after laser cutting. The kerf of a laser cutter is very small. The term kerf refers to the width of the groove made while cutting. This varies from material to material and is also dependent on the specific settings of the laser. For many materials, the kerf will be somewhere between 0.05 mm (0.002 in) and 0.5 mm (0.02 in). It is called engraving when the laser beam removes parts of the top material but does not cut all the way through the material. Marking is when the laser does not remove material but for example, changes the color of the material. 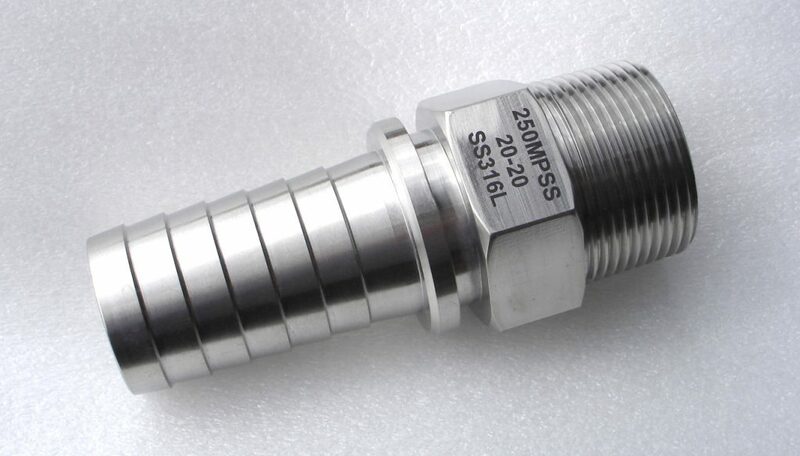 With CO2 laser cutters marking is mostly used when working with metals. A marking solution (e.g. CerMark or Enduramark) is applied on the surface of the workpiece. After drying of the marking solution an engraving is performed. The heat from the laser bonds the solution to the metal, resulting in a permanent mark. So you want to laser cut your own design? Here’s a step-by-step overview of what you need to consider to make it happen. 1. Do I need to buy a laser cutter? If you are interested in getting some hands-on experience with a laser cutter, I recommend looking for a local makerspace. Makerspaces – sometimes also called maker lab or hackerspace – are collaborative work spaces for making and learning. They offer a variety of equipment like for example 3D printers, CNC machines, soldering irons and very often also laser cutters! 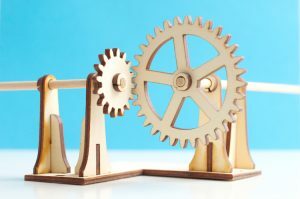 The big advantage of makerspaces is that the other people there are usually very helpful and they often also offer courses on how to operate their machines. There are many different types of makerspaces some are non-profit, others operate based on memberships or charge fee for the usage of equipment. Check out if there is a makerspace nearby. The site themakermap.com is a good place to start looking. Especially if you are a student, schools, colleges and universities are also a good place to look for a laser cutter. The third option is using a laser cutter service. When working with a laser cutting service you just send them your files, choose a material and then the company will do the cutting and ship the finished parts to you. Below you can find some online laser cutting services or just look for a local laser cutting shop. 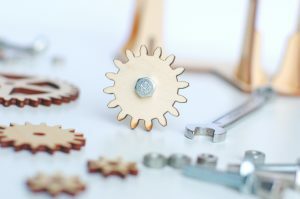 If you are just starting with laser cutting I recommend trying one of the options above before looking into buying a laser cutter to get some experience and find out which features are most important for you. Even when looking only at CO2 lasers, there is a wide variety of different laser machines available and the selection is continuously growing. The price range is big, with entry-level Chinese imports starting at about 500 EUR/USD and professional grade machines costing several 10,000 EUR/USD. In this guide, I won’t go into more details, but I plan to write an overview of the different types available on the market and the most important features to consider when buying a laser cutter, in a future post. 2. What materials can be cut or engraved with a laser? CO2 laser machines are capable of cutting and engraving a variety of materials. However, there are also materials which cannot be processed. This may be because the laser can not cut through the material, or because toxic gases would form. Also, very flammable materials cannot be used. Depending on the power and other specifications of the machine you are using, the maximal material thickness that can be cut will vary. The power of laser cutters is measured in Watt. Typical power levels range between 30 Watt and 120 Watt. Lasers with higher power are mostly used in industrial applications only. Plywood x x Lasers can struggle to cut plywood sheets with exterior glue. Use plywood with interior glue. High-density polyethylene (HDPE) (x) (x) Edges melt badly. Watch closely – easily catches fire. There are materials that should never be processed with a laser because this will lead to the creation of toxic gases or dust which can also damage the machine. 3. How to create a design for laser cutting or engraving? Most CO2 laser cutters work very much like your everyday inkjet printer. The laser cutter comes with specific drivers which convert an image from a computer into a format that the laser cutter can read. When working with laser cutters it is important to know the difference between vector images and raster images. Both image file types can be processed but raster images can only be used for engraving and not for cutting. A vector image stores all the lines and colors as mathematical formulas. Raster images are pixel based. Which means that the image is made up of many small squares. Vector images can be scaled up without any loss in quality whereas raster images will start to “pixelate” at a certain enlargement. You can use the software of your choice as long as you export your file in a suitable format. Below are some examples of graphic design software. The first thing that should be considered is the size of your material / the maximal size that the laser bed can accommodate. This defines the maximum size of your design. In general, it is a good idea to set the work area to this size. The color mode should be set to RGB. Different colors are usually used to specify different processes. For example, red could be used for all the parts that will be cut and black will be used for engraving. As explained before, during a cutting operation, the laser fires a continuous beam at the material to slice through it. To know where to cut the laser machine needs a vector path as the input file. Only vector graphics with the smallest possible line thickness (this depends on the software you are using) will be cut by the laser. All other graphics, like solid shapes or thicker lines, won’t be cut. When cutting out text or other complex shapes you to consider that unconnected middle parts – like the inside of an “O” – will fall out. Depending on your desired design you may want to prevent this. For text you could, for instance, use a stencil font where all the inside parts of the letters are connected to the outside parts. When engraving with a laser one can distinguish between vector engraving and raster engraving. Vector engraving is basically the same as cutting with the only difference that for the engraving the power is lower so that the laser just removes parts of the material and does not cut through. For raster engraving, the input file can either be a vector file or a raster image. During raster engraving, the image is engraved by the laser line by line, pixel by pixel. The process is similar to the way in which an inkjet printer applies ink, but instead of ink being applied, material is removed by the laser beam. Engraving works for simple shapes as well as for complex images. Photos need to be turned into grayscale images to be engraved. 4. How to use a laser cutter? Once you have your design ready, it is time for the final step – the cutting on the laser. Laser cutters are very powerful machines. You can create great things with them but they are also potentially dangerous, so first a word of warning. Before using a laser cutter always first make sure you read and understand all the safety instructions that come with it. In addition be aware that that wavelength of a CO2 laser is in the Infra-Red part of the light spectrum, so it is invisible to the human eye ye. The red dot you see with many machines on the material surface is only a positioning aid and not the laser beam that actually doing the cutting. First of all, check that your material fits inside the work area of the laser cutter and cut it to size if necessary. Also, be prepared to make some test cuts or engravings and bring some spare material with you. Utility Knife: For cutting material that wasn’t cut all the way through by the laser cutter or to cut paper and cardboard to size. Painter’s Tape/Masking Tape: Use it for masking the surface of your material to prevent burn stains and to tape down light materials. Measurement Tape/Calipers: For measuring dimensions and making sure your final objects have the right size. The four most important settings of a laser cutter are power, speed, frequency and for focus distance. Power: Defines the output power of the laser. Typically can be set from 0 to 100% (maximum power). High power is used for cutting thick materials and lower power is used for engraving and cutting of thin materials such as paper. Speed: Determines the movement speed of the laser head. For engraving and cutting of thin material, the speed is usually set (close) to the maximum. Frequency (Hz, PPI): The frequency parameter specifies the number of laser pulses per second. Frequency depends completely on the material used. For example wood cuts best at around 500 to 1000 Hz and for acrylic 5000 to 20000Hz are recommended to achieve a smooth edge. Focus: As previously explained, there is a focusing lens inside the laser head. The focus point (where the laser beam is thinnest) should be on the material surface or slightly below, for most applications. To ensure this the material needs to be a certain distance away from the lens. The exact distance depends on the type of focusing lens that is used. Many laser machines have a motorized bed which can be moved up and down to set the focus distance. Alternatively the position of the material surface a has to be manually adjusted. So now that you have a basic understanding of the available settings you might ask yourself how to find the right settings for your projects? A good starting point is the laser cutter manual. Often you will find suggested settings for many materials. If you are working on a shared laser in a makerspace there are usually lists with recommended settings available. Finally, you should be prepared to make your first cuts. It can take a few tries to find the ideal settings for your material. Always change only one parameter in a test process. For example, start with the power by testing different values in 5-10% increments. Once your are happy with your results, don’t forget to write down your settings for future reference. Your missing not to cut ABS. ABS can break down into cyanide gas. Not the best thing for you. Something to add to the “can cut” list is latex rubber. Stinks like hell but once you have the settings down cuts very nice. Thanks for the input! Actually, I did some research regarding ABS and found mixed results. Some sources that state ABS should not be laser cut but there are also a lot of sources mentioning ABS as safe for laser cutting. I also found scientific articles saying that the combustion of ABS leads to the formation of hydrogen cyanide but this is also the case for organic materials like wood. I could not find any good info on the quantity of hydrogen cyanide that gets emitted from burning ABS. It looks like with a proper ventilation/filtration system ABS can be cut. I have never worked with latex but I don’t have it on the list because in my local makerspace it is banned. The reason that is stated, is it releases a sticky smoke that ruins the optics. There is also a great what to and to not cut/etch located here. Thanks for this info. It’s so hard to get comprehensive information for beginners! Yes, when I wanted to start with laser cutting it took me quite some time to get an overview of what you can do and what you need. There is a lot of information online but often it is fragmented covering just certain topics and leaving out other information or it gets quite technical quickly. That’s why I decided to write this guide. Sign-up for the newsletter and stay updated on new projects!